We are blessed to be the recipient of the 2018 Camp2Camp summer missions offering and have been busy preparing materials to share our dream with you. After much thought, prayer, and research, the CMMBC Board of Directors wants to share our plans for building a splash pad at CMMBC! Campers currently travel offsite for water activities during Junior and Senior camps. 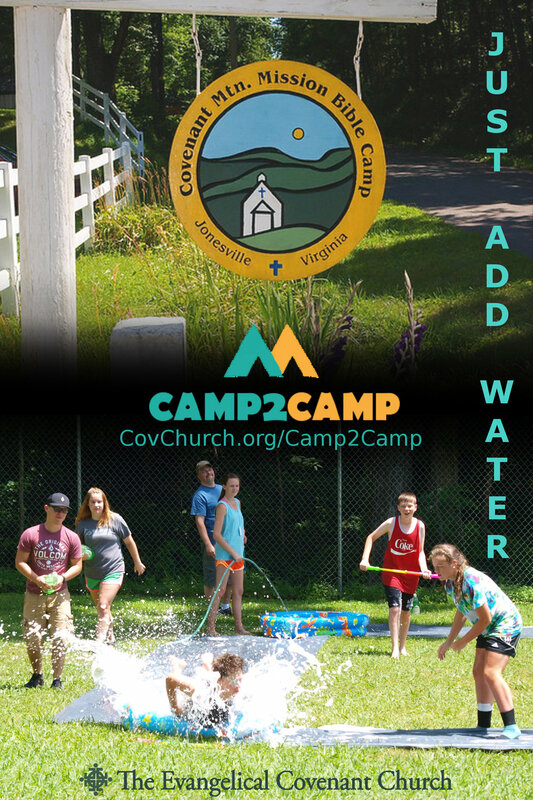 For our Pathfinders and Trailblazers camps, we set up portable water games. We are looking forward to having an onsite splash pad! For those of you who are familiar with the camp, you may be wondering where we are going to install the splash pad. Our existing basketball court (behind the Chapel) has deteriorated significantly and needs to be removed. We plan to place the splash pad behind the Chapel and rebuild a basketball court at a later date.